This is a "Technique Class" using the Accuquilt Go! System (furnished by Cupcake Quilts). The finished size will be approx. 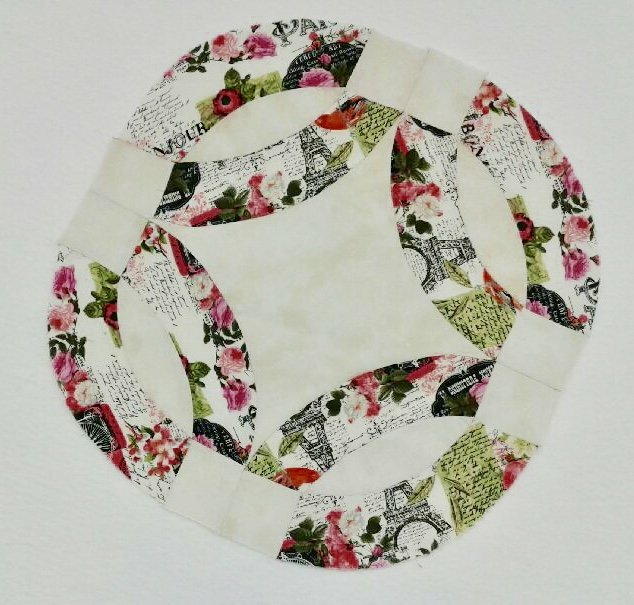 29"x29" for a table topper, small wall hanging, or a pillow sham. If you have been intimidated by curves, then this class is for you. You decide to make the traditional or the more modern blocks. Perhaps it's your time to experiment and get out of your comfort zone with fabric choices as well. We will be using the Accuquilt Go! System (furnished by Cupcake Quilts) and just a few of your favorite fat quarters. Fat Quarters ** 8 or more (depending on how scrappy you may want the rings to be). Sewing machine Neutral thread Scissors Seam Ripper Straight pins and any other supply you would normally use.